Stock# Stacyc 12 NEW 2018 Stacyc 12 E DRIVE ELECTRIC | Sioux Falls, South Dakota 57107 | Power Brokers Inc.
"The Little Bike That Could" the 12 E-Drive is the first powered machine a child should ever have. 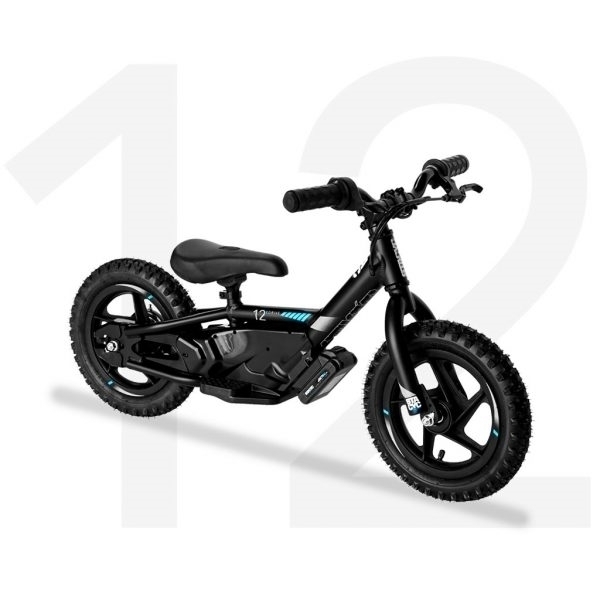 It promotes balance, hand / eye coordination and safety with it's low seat height and 'coast' option to ride without power. As the region's exclusive dealer of Stacyc Stability Cycles we are proud to announce the first shipment is on our showroom floor and ready to start creating smiles. They feature 3 speeds under power, a rechargeable Lithium Ion battery (similar to a power drill) and the look and feel of motorized machines. Light weight and just plain fun!!! $649.00 For more information call our sales staff at 605-334-7355. SUPPLIES ARE LIMITED!! Goto our Yardsale section to get yours today with free shipping! Hello, I would like more information about the 2018 Stacyc 12 E DRIVE ELECTRIC, stock# Stacyc 12. Hello, I would like to see more pictures of the 2018 Stacyc 12 E DRIVE ELECTRIC, stock# Stacyc 12. Ready to drive this 2018 Stacyc 12 E DRIVE ELECTRIC? Let us know below when you are coming in, and we'll get it ready for you.